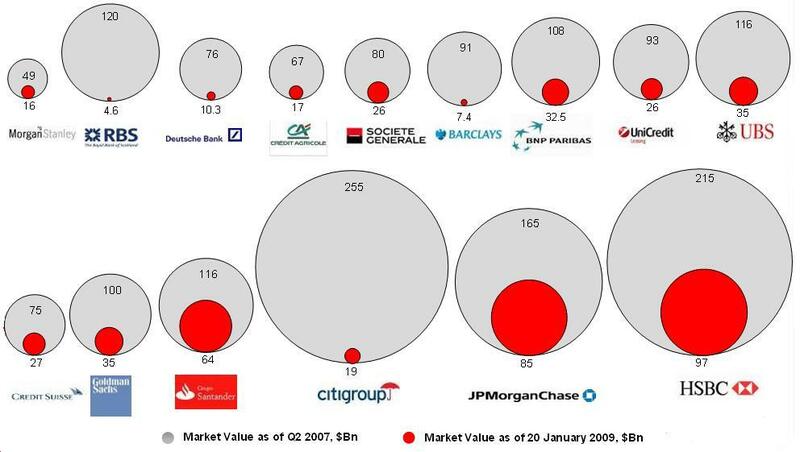 This is a graphic depiction of what has happened to the market values of the top banks over the world. RBS, Barclays and Citi in particular make for an “interesting” sight. (Click on image to enlarge).